Moving to mid-August and it remains a quiet time in the academic year before the ‘A’ level results appear and universities endeavour to attract even more students through ‘clearing’. 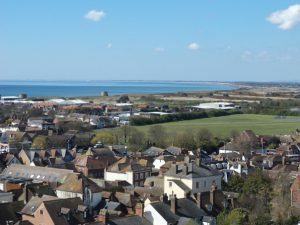 For those working in the Centre for Kent History and Heritage, it is an important time as the events that will comprise the Tudors and Stuarts History Weekend progress. More on that in a minute, but first I thought I would mention that tickets for the joint ‘Early Medieval Kent, 800–1220’ conference with the Friends of Canterbury Archaeological Trust are selling well. When I saw Ruth Duckworth at Canterbury Christ Church’s box office in Augustine House yesterday, she said sales had reached 65 tickets. This is excellent and I’m looking forward to an even larger audience on Saturday 10 September. 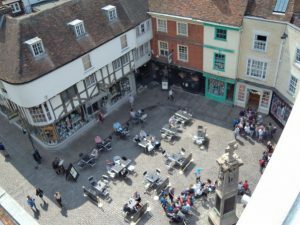 So if you think this may be of interest, please do check out the Centre’s website at: http://canterbury.ac.uk/medieval-kent and I hope to see you there for what looks like a very exciting programme. As I may have mentioned before, it is hoped that a small exhibition of medieval Kent documents will be provided by the Kent History Library Centre under the care of one of the county’s archivists. 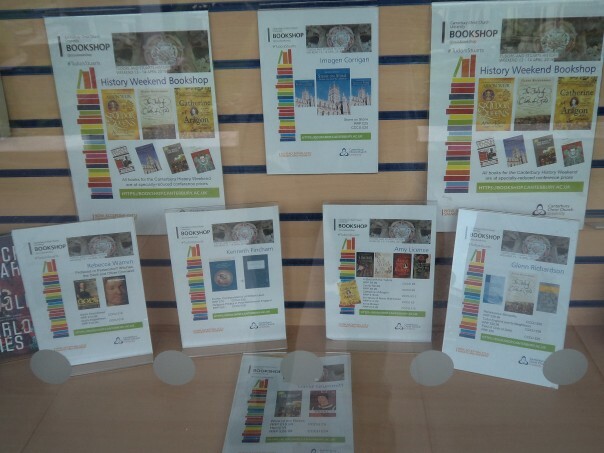 The idea of an exhibition was an excellent suggestion by Sarah Stanley, the head of the KHLC in Maidstone, and wholly appropriate because the conference celebrates the publication of the Kent History Project’s final publication, a long-standing Kent County Council initiative. To return to the Tudors and Stuarts History Weekend, a new development for 2017 will be a ‘Meet the Object’ talk on Sunday 2 April at the Beaney House of Art & Knowledge in Canterbury High Street to be given by Dr Jayne Wackett. Jayne has recently been the researcher on an AHRC-funded project on ‘Illuminating the Past’ under the direction of Dr Emily Guerry at the University of Kent. 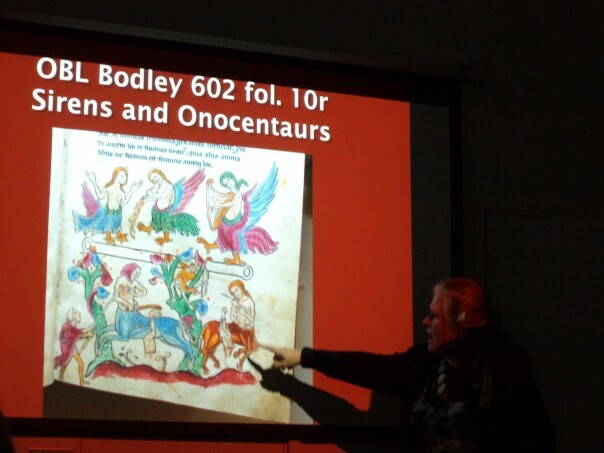 She is also well-known in Canterbury for her ‘Picture this …’ series, in collaboration with Karen Brayshaw Cathedral Librarian, that invites postgraduates and lecturers in Medieval and Early Modern Studies to explore in short essays individual books and other materials from Canterbury Cathedral Library and Archives. Her expertise extends from the Gothic to the Renaissance and this new event for the 2017 Weekend is an exciting addition. As yet Jayne has not decided which piece will be the focus of her lecture, but once this has been decided I shall let you know. In addition to the well-established professors at Canterbury Christ Church University and the University of Kent whom I mentioned last week as contributing to the Tudors and Stuarts Weekend, other local academics from the city’s two universities will feature on the programme. Dr Una McIlvenna (University of Kent) will provide a continental dimension as she discusses that fascinating queen and powerful matriarch Catherine de Medici, an interesting comparison to Henrietta Maria, the subject of Dr Sara Wolfson’s lecture. Keeping with this European mainland idea, although not yet confirmed, it is likely that Dr David Grummitt, also from Canterbury Christ Church, will discuss aspects of Tudor Calais – thereby offering a somewhat topical flavour to the proceedings. David is probably best known for his biography of Henry VI, but his publications include works on the Calais garrison, that last bastion of English military governance that famously was ‘lost’ forever by Mary Tudor. Hopefully by next week I shall be able to report further progress.